Happy Mother's Day to all the amazing mamas out there!! Mother's Day this year has me all sentimental and taking me back to when I first became a mom almost 8 years ago. I can't even believe that when I say it aloud (or type it lol). In some ways it's hard to believe it was that long ago, but I also don't even remember life before having kids! Time flies when you're having fun...and when you're busier than you've ever been!! 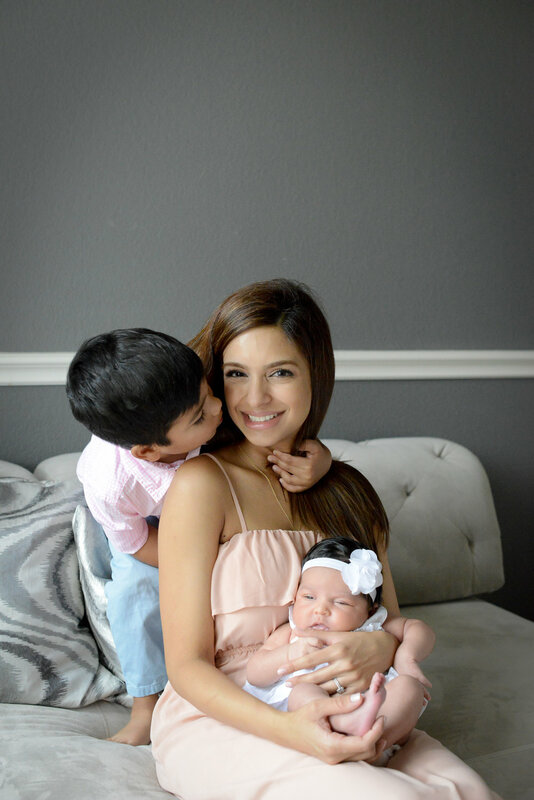 Sharing some pics from my pregnancies and when these little munchkins entered our lives! I remember each of these days like they were yesterday. Each time I went to the hospital to deliver, I had that overwhelming feeling of excitement. I will never get over that feeling of when you meet the little human that existed inside you for 40 weeks and finally getting to see those sweet newborn faces. It's truly the most incredible feeling I could ever imagine. An overwhelming feeling of love and excitement, but there were also feelings of wonder, fear, anxiety, and...exhaustion! I really enjoyed going down memory lane and looking back at old pics this year! I feel so incredibly blessed that these three little people call me mommy. My goal in life is to not disappoint them, to always be there for them in every way that I can be, and to help them grow into responsible and caring individuals. I want them to strive to be their best, but know that it's okay to have setbacks. I want them to work hard and appreciate everything they are so lucky to have. I want them to be safe, and make good choices in life. Above all, I want them to find true happiness and peace in this crazy world that we live in. I never understood why my mom worried about me 24/7 growing up, and now I do. Not a second goes by in my day that I'm not 100000% consumed by thinking about these three, and their future...but I wouldn't have it any other way. I was born to be their mommy, THAT I am certain of!!! HAPPY MOTHER'S DAY my friends!!! !